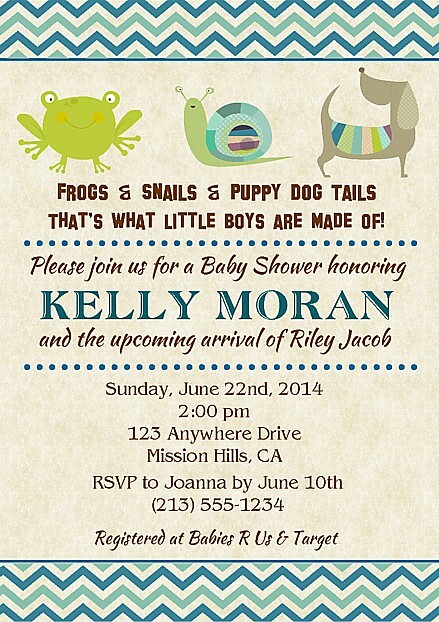 Frogs and Snails and Puppy Dog Tails boy baby shower invitations features a frog, snail, and a puppy dog. The background is an antique beige color and the border is done in a two tone teal chevron print. Perfect for a boy's baby shower.